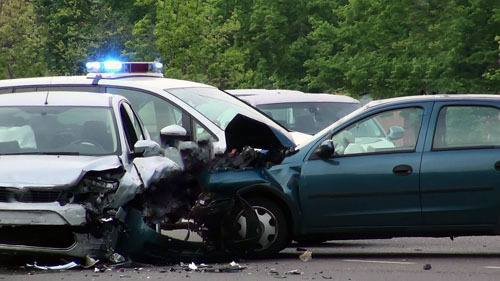 Auto accidents can take place at any time for any reason. Even when you think you are cautious enough, it is important to remember that faults could emerge even from the other driver’s side. The following facts about car accidents can assist you to be more cautious when on the road so you can avoid putting yourself in a situation that could force you into an accident. As absurd as it may sound, it has been established that most auto accidents take place less than three miles to one’s destination. The reasons for this are not clear, but the guess has been that most individuals don’t commute more than three miles. Apart from that, another theory that explains this premise is that more often than not, drivers tend to pay less attention when driving on roads that are familiar, an aspect that increases their chance of crashing as a result of negligence. The United States has more than 253 million cars and trucks on its roads, according to IHS Automotive reports. With most people driving on the roads, streets, and highway, and with most of them not paying attention while they drive, accidents are inevitable. In fact, approximately 100 U.S. citizens will lose their lives as a result of fatal road collision every day. According to the CDC, NSC, and NHTSA, irresponsible drivers, without a doubt, are the primary cause of the majority of auto accidents. This problem is quite serious that it is believed that forty percent of auto accidents are a result of drunk driving, while twenty to forty percent occur due to road distractions. As mentioned earlier, drunk driving is one of the largest causes of road accidents and fatalities. One of the effective ways to eradicate this menace is to avoid drinking and drinking. Of course you expect others to still drink, but driving while sober will ensure you have quicker reflexes and that you can make split-second decisions when such a time comes. Aside from a DUI arrest, drunk driving can also prevent you from being compensated for your injuries. Some states have the ‘pure comparative negligence’ which minimizes the amount of compensation you get in accordance with your degree of fault. If you are injured while drunk, the law might find you responsible for the auto accident and you may be denied compensation. If you feel that you are not at fault and deserve to be compensated for your injuries, you can always seek assistance from experienced auto accident attorneys. Visit law firms like https://www.robinettelaw.com to get all the assistance you need when it comes to auto accident injury compensation. The federal government has compared fatalities per mile traveled and discovered that the rate of death for those with motorcycles is twenty-seven times more as opposed to people driving vehicles. This is not a surprise since motorcycles do not protect users properly as cars do, forcing motorcycle riders to bear the full brunt of collisions. Auto accidents can be inevitable, no matter what precautions you take. However, if you are injured and need to be compensated, you can always seek help from an experienced auto injury attorney.